The most exciting clubbing concept in the world right now. Mixing music, amazing props, street theatre and zany costumes into unique melting pots of laughter and craziness. Welcome to Elrow, the world’s most insane party. 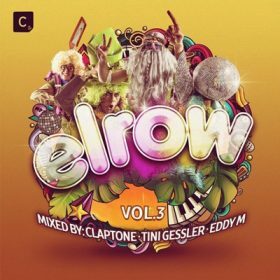 Elrow is the innovative clubbing concept that has captured the imagination of clubbers around the globe. To get a feel for the Elrow experience think mega parties full of bursts of light and colour, trapeze artists soaring through the air as a flood of confetti pours from the sky, eclectic props and inflatable toys, elaborate set design, stilt walkers towering above you, Elvis Presley rocking to techno with thousands of revellers dancing to the beat of the best house and techno. Everybody joins in the fun – Aliens welcome and anything goes. Celebrating weirdness in all its amazing forms, think of it as a massive escape-valve for the seriousness of life. A jam-packed roller-coaster of pure smiles. And of course, Music is front and centre of the Elrow experience and as such, keeping the fun element whilst presenting fresh upfront sounds. 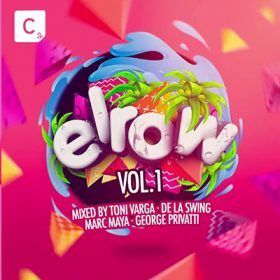 After a sellout final season at Space Ibiza, colorful Spanish party brand Elrow has already found a new home for 2017, taking over both the Club Room and Terrace at Amnesia Ibiza. Action in the Club Room will be a continuation of last year’s all-night concept elrowcity, which will see the room fully transformed into the city of that night’s international headliner, while the Terrace will host various other immersive concepts like Bollywood, Psychedelic Trip or Rowlympic Games. Resident DJs Claptone, Tini Gessler, Eddy M, Tony Varga, De la Swing, Marc Maya, George Privatti, etc.